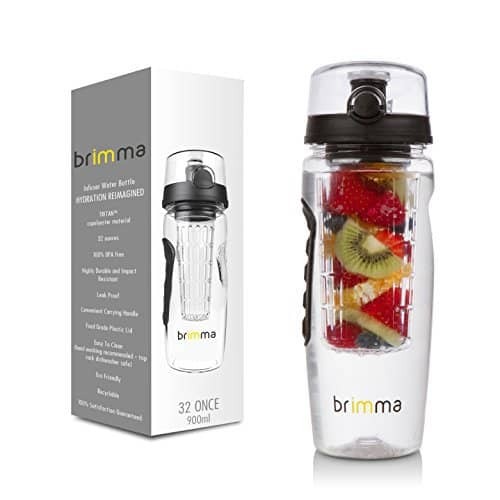 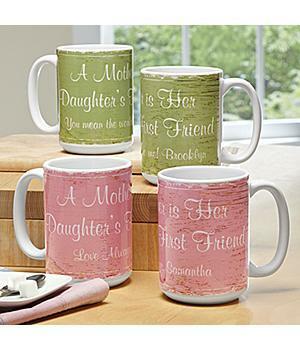 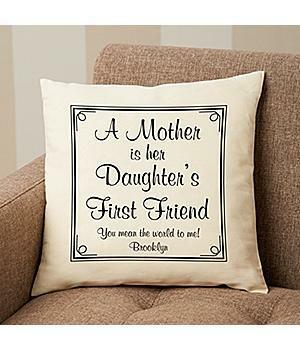 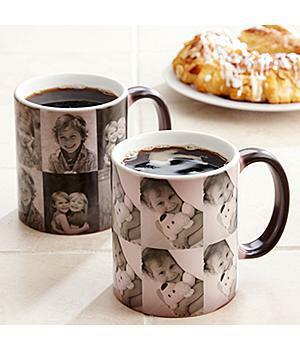 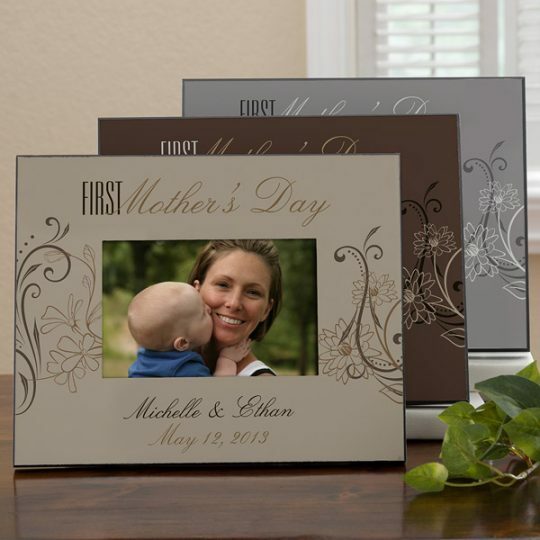 Our Mother’s Day gifts for new moms are sure to make any woman’s first Mother’s Day memorable! 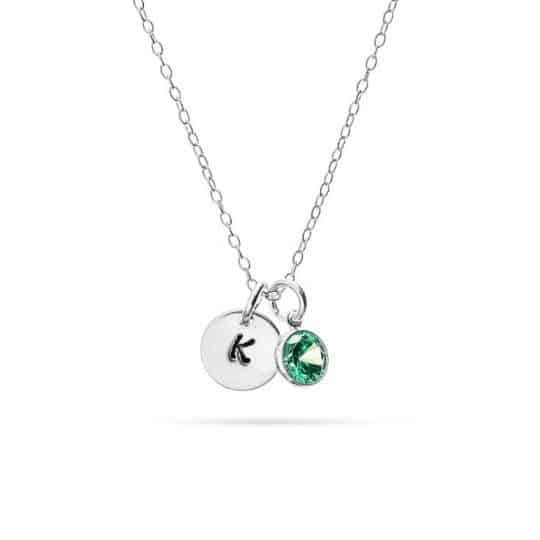 Prices start at under $15, so it’s easy to find a gift she’ll love. 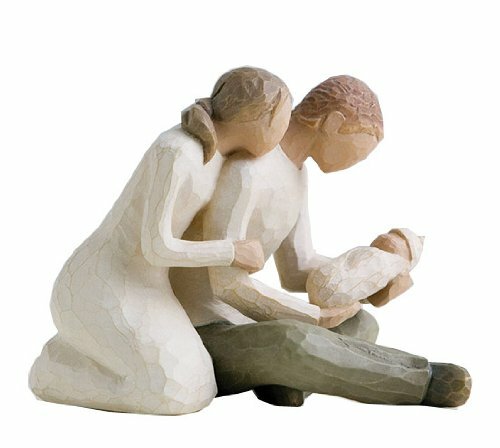 These sweet Willow tree figurines are a delightful representation of the precious bond shared between a mother and child. 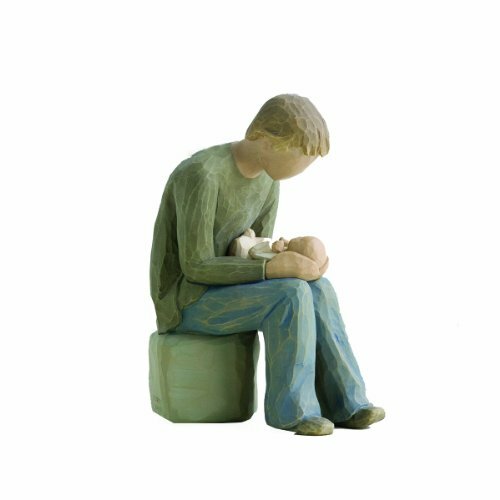 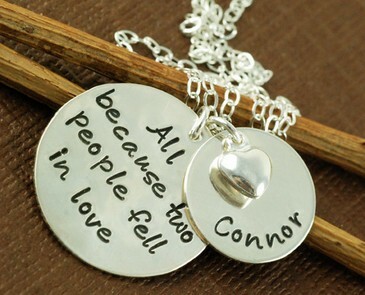 Each figurine comes with a card that includes a meaningful sentiment that’s just perfect for the occasion. 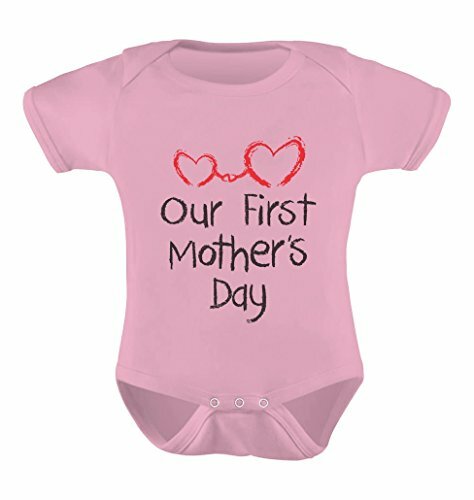 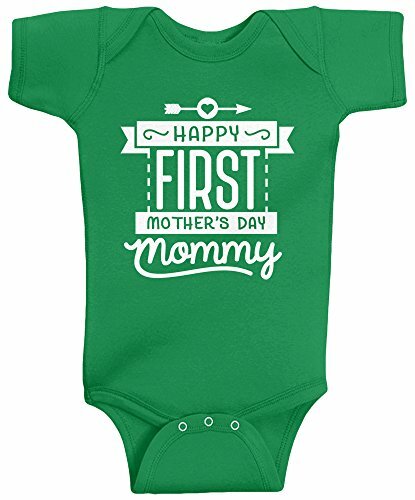 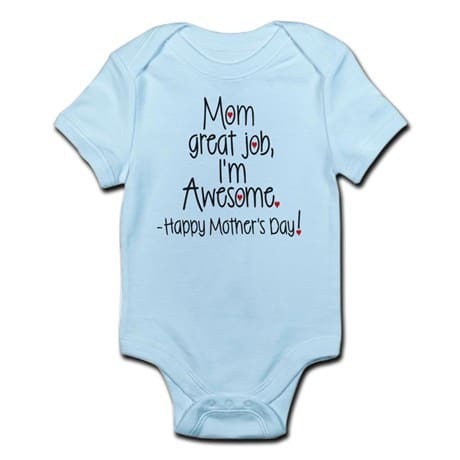 Make the new mom smile on her special day when she sees the baby all decked out in an adorable first Mother’s Day outfit! 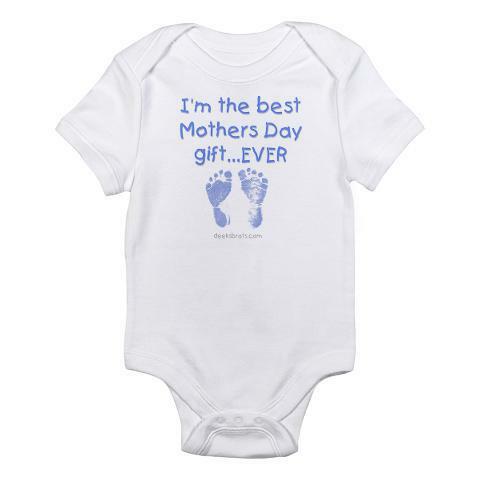 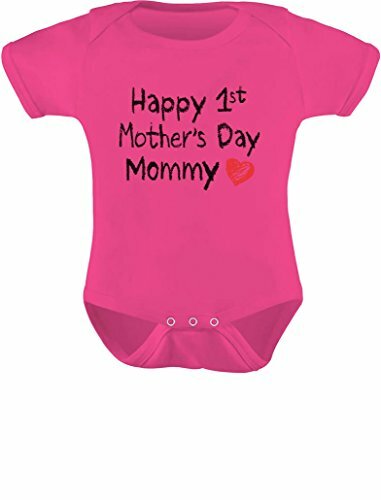 Each of the baby bodysuits featured here is available in several colors – just click on any image to buy or for more details. 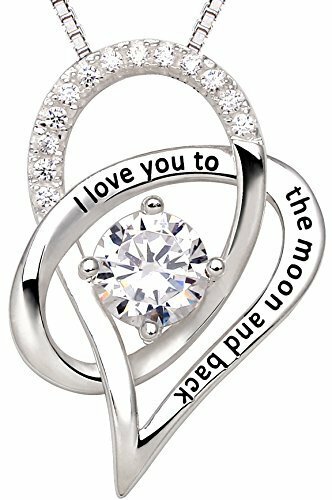 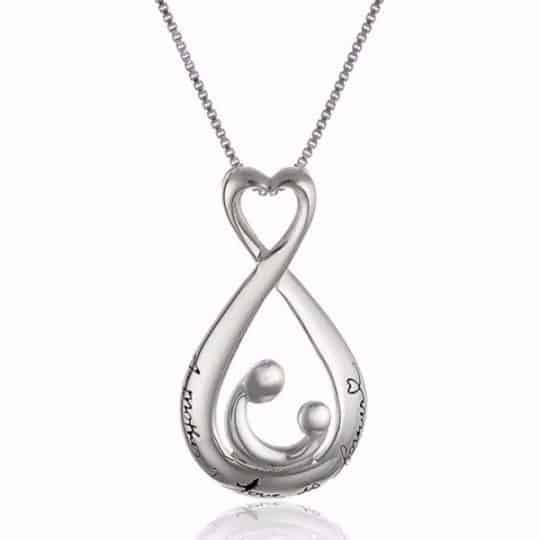 What woman doesn’t love jewelry? 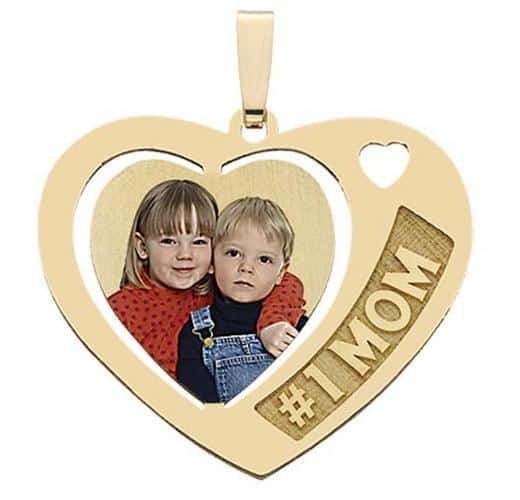 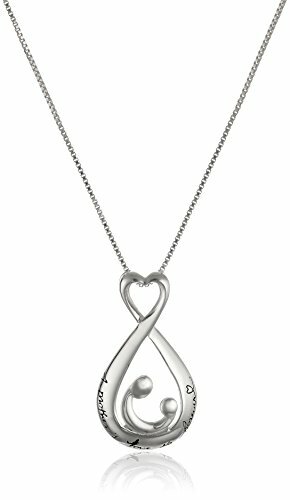 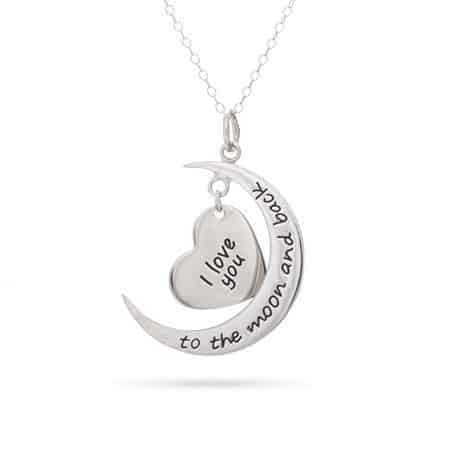 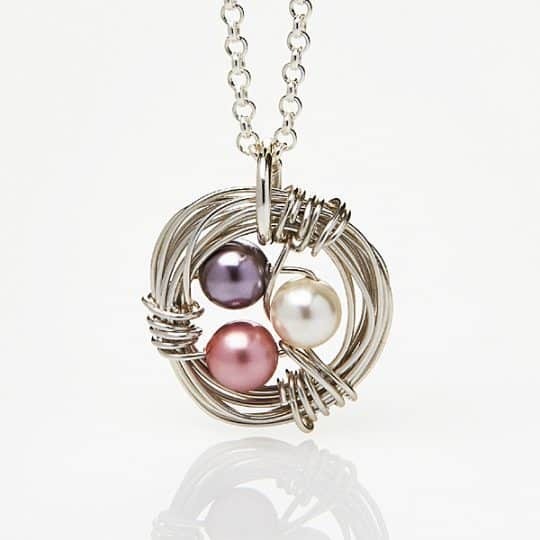 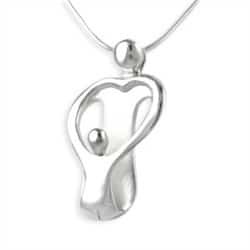 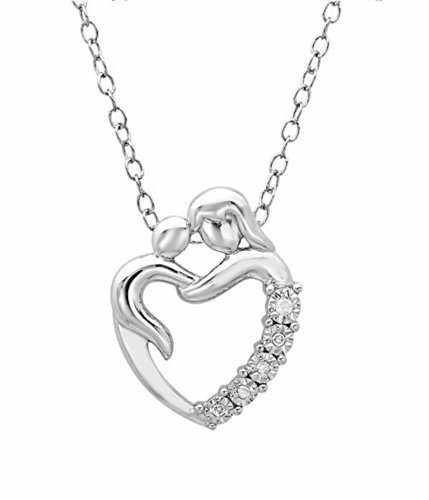 Celebrate the first Mother’s Day with a trendy new mom necklace. 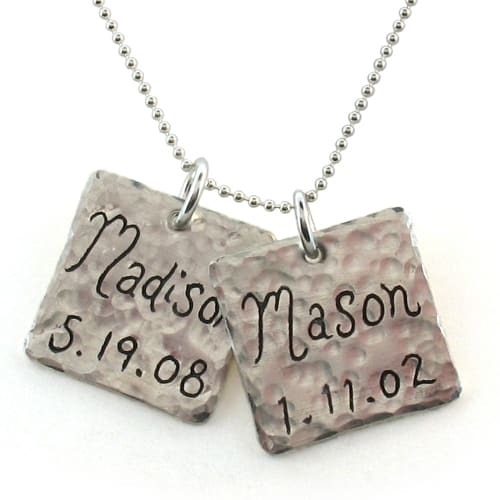 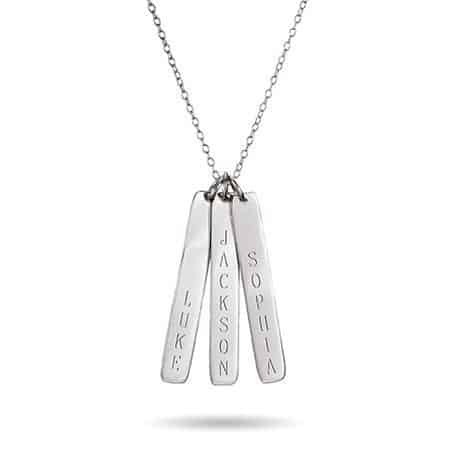 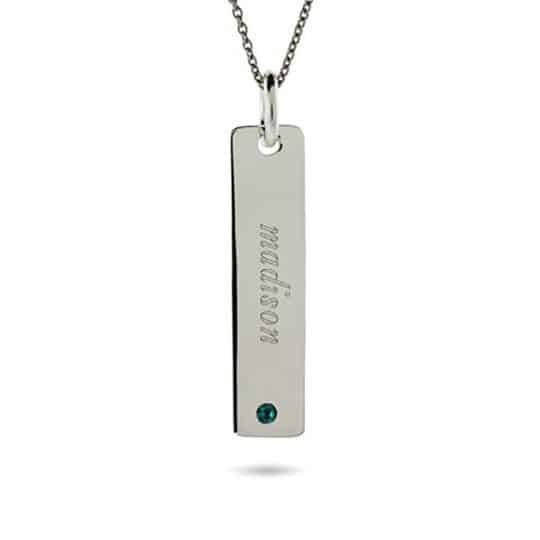 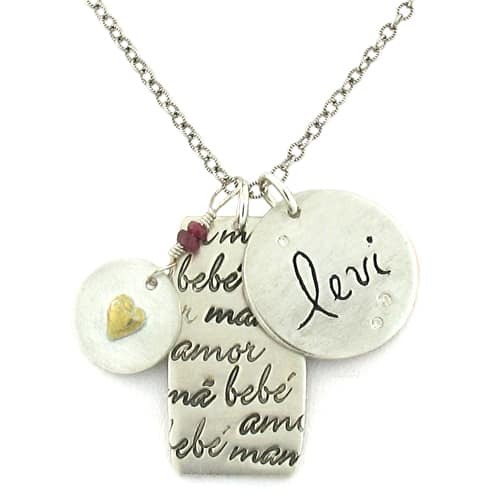 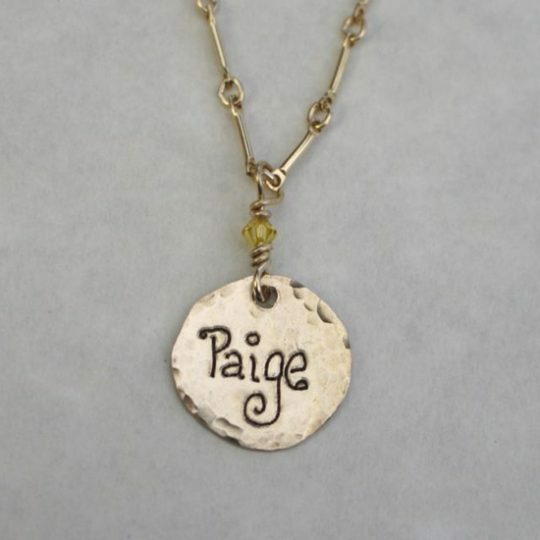 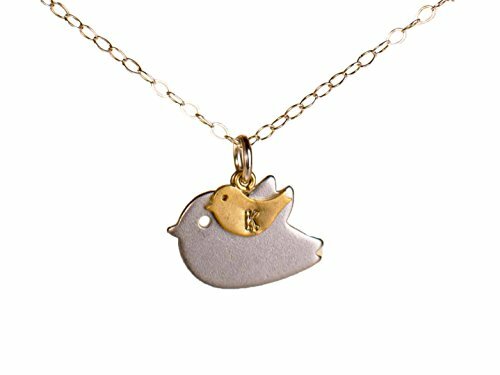 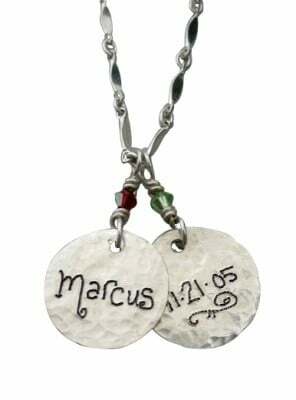 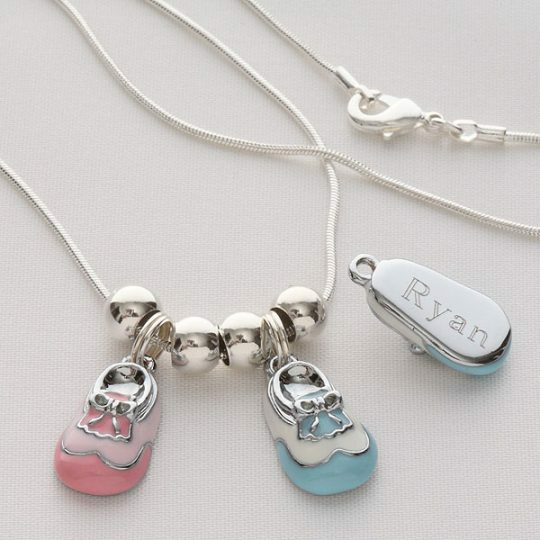 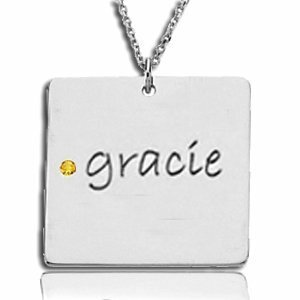 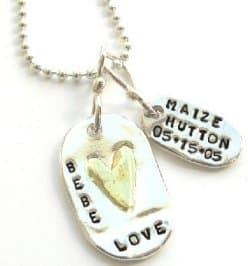 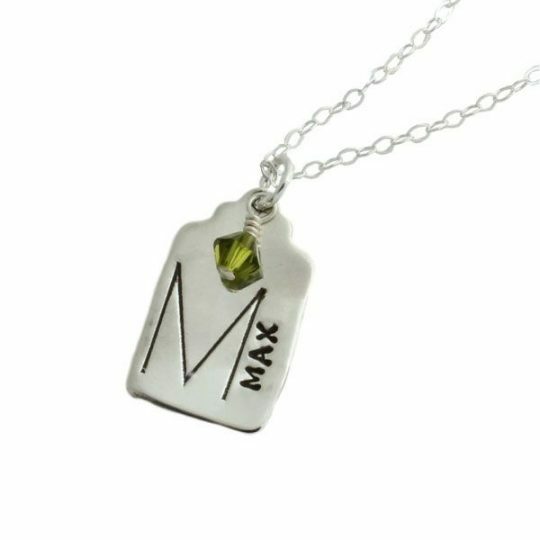 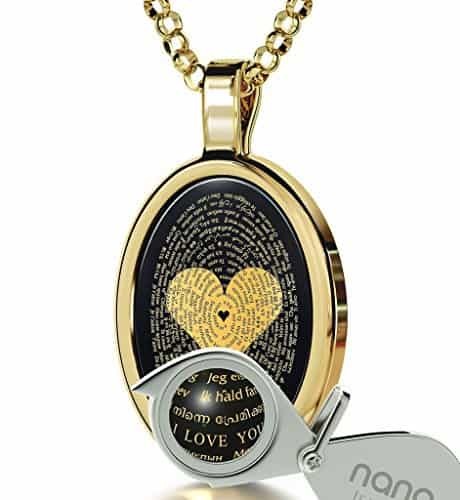 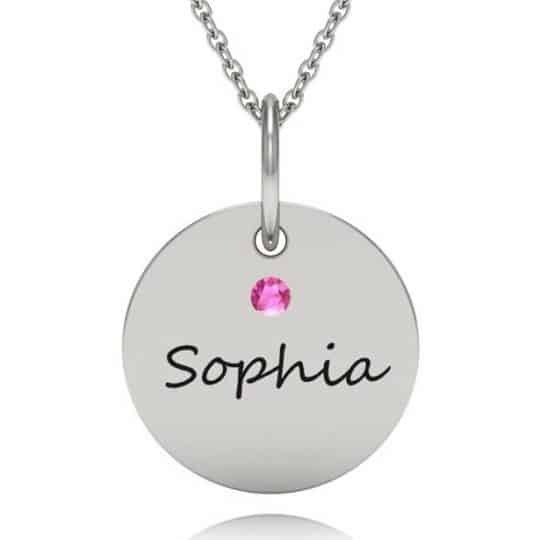 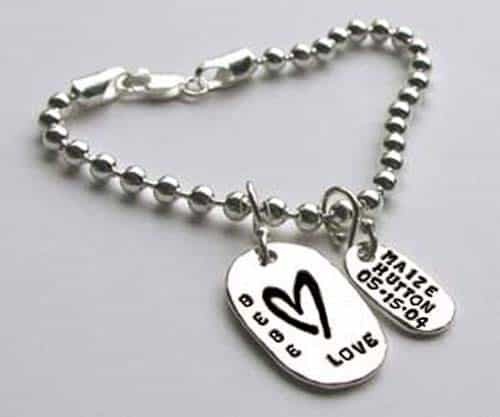 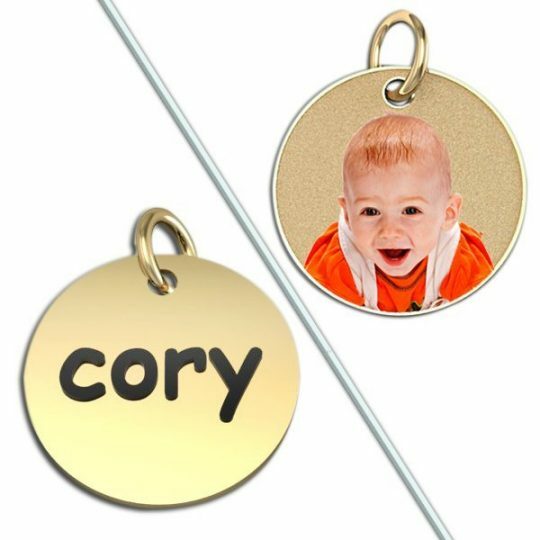 The beautiful hand-stamped name charm necklace pictured here features the baby’s name on one side and birthdate on the back. 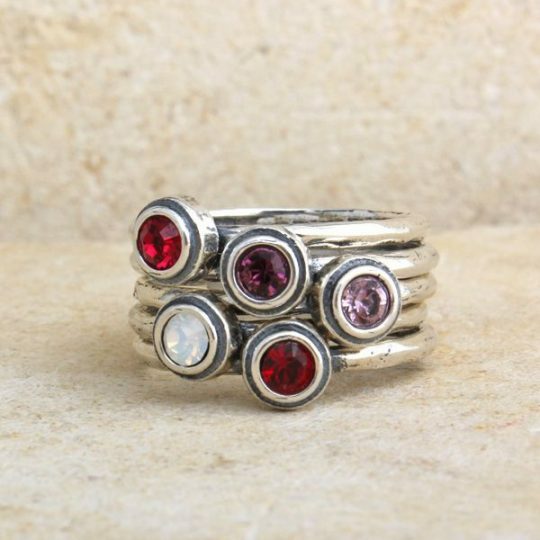 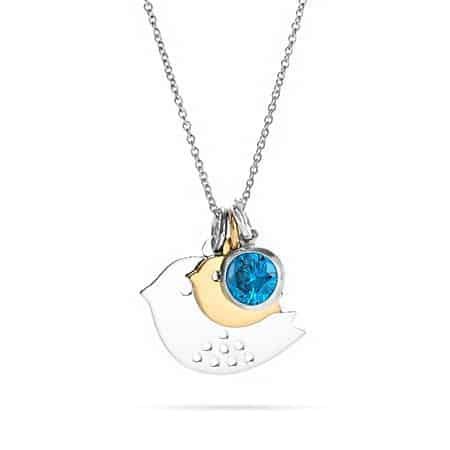 A tiny birthstone adds just the right amount of sparkle. 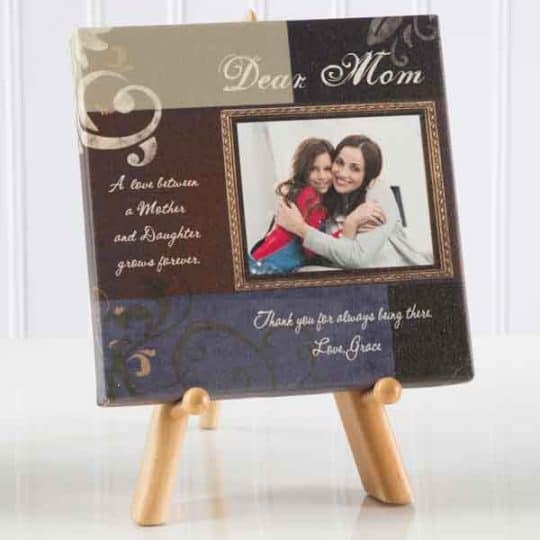 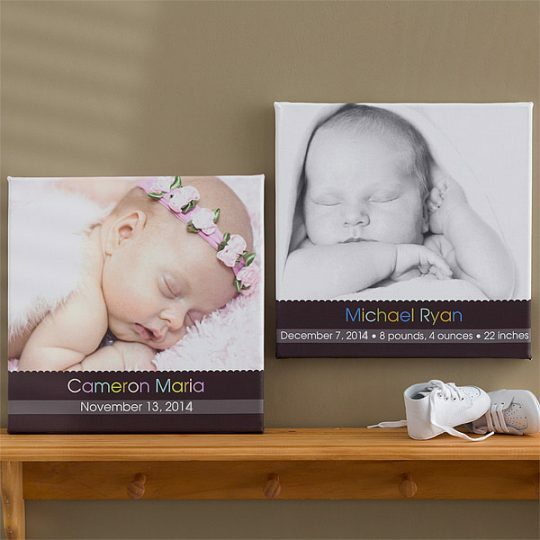 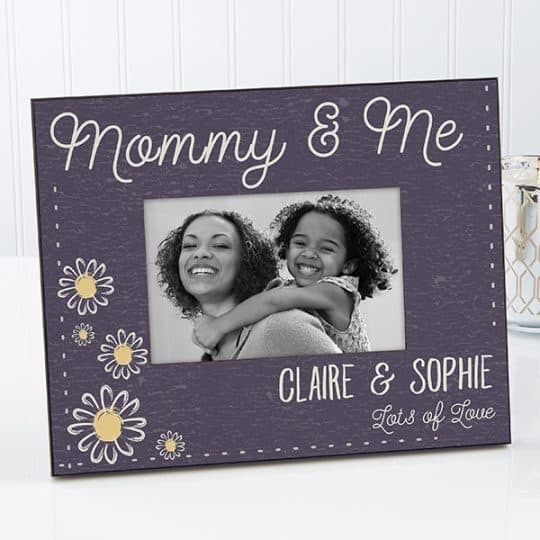 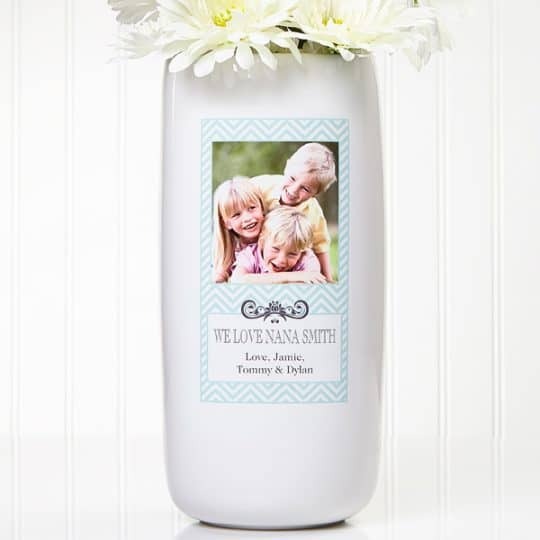 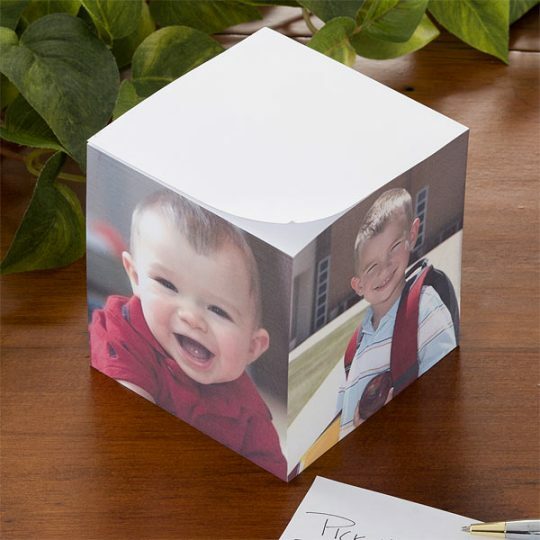 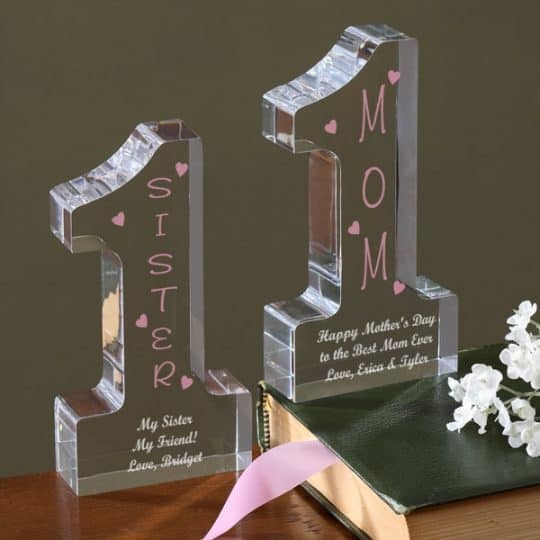 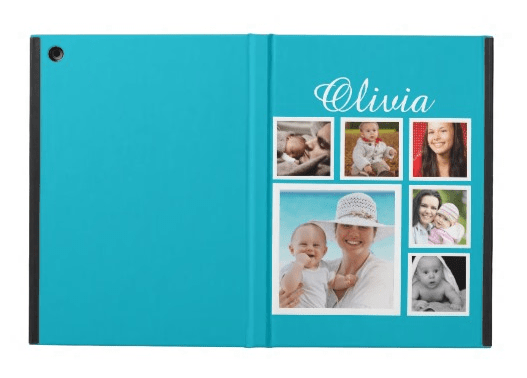 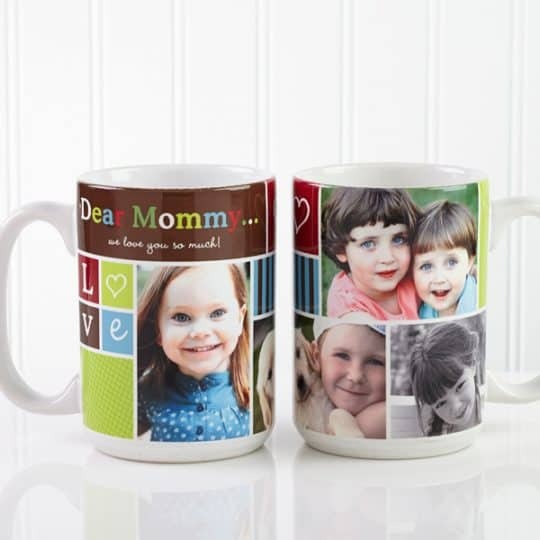 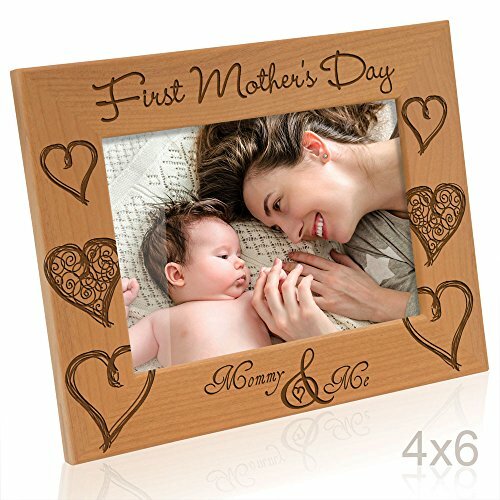 You’re sure to take loads of pictures on this wonderful occasion – why not give the new mother a picture frame to preserve her favorite memory in? 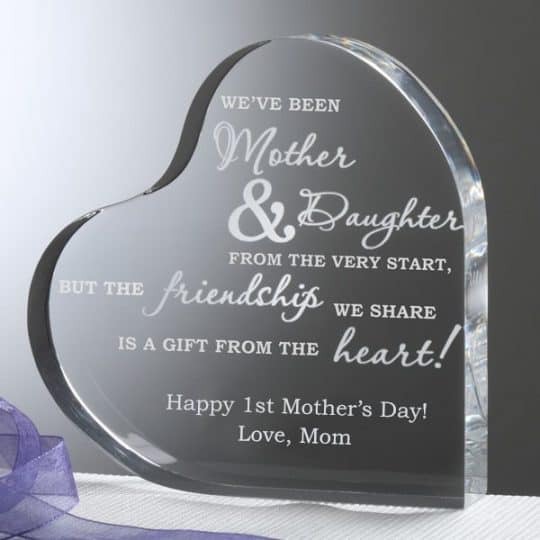 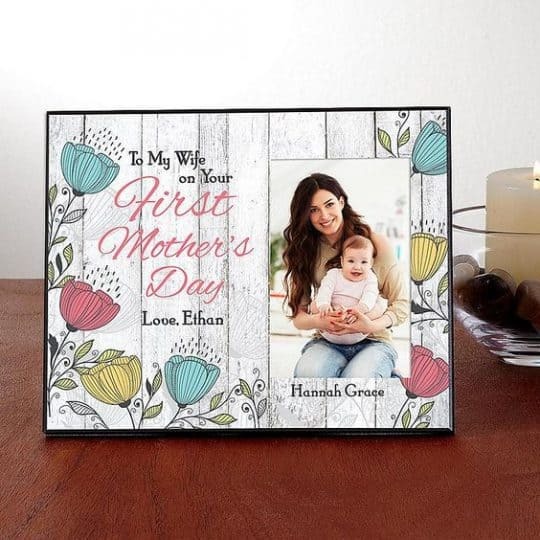 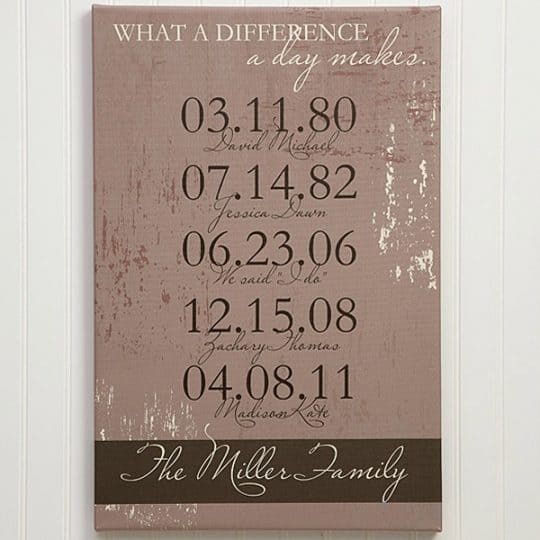 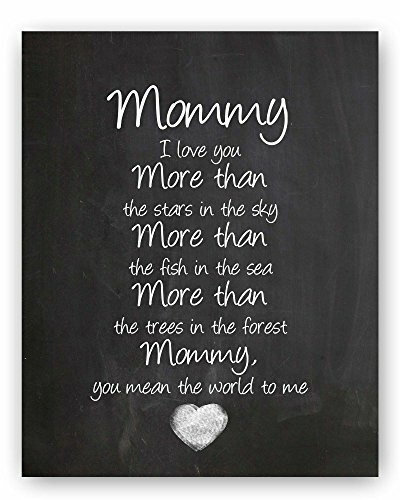 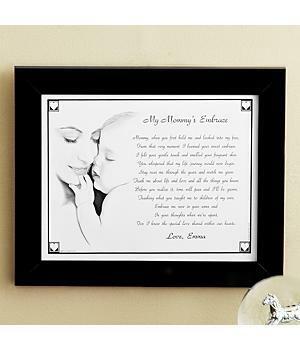 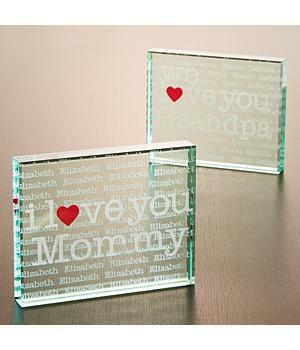 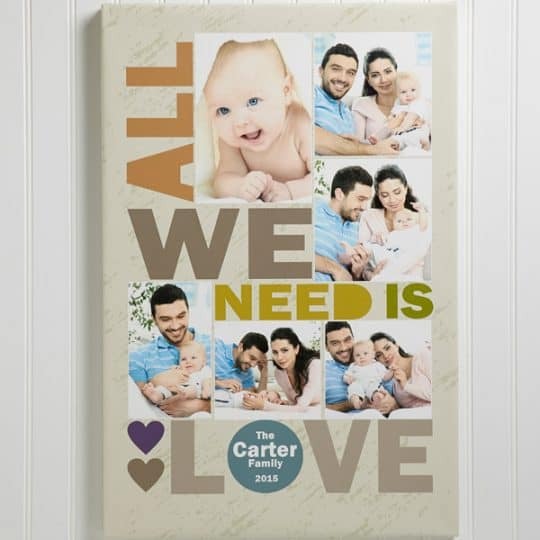 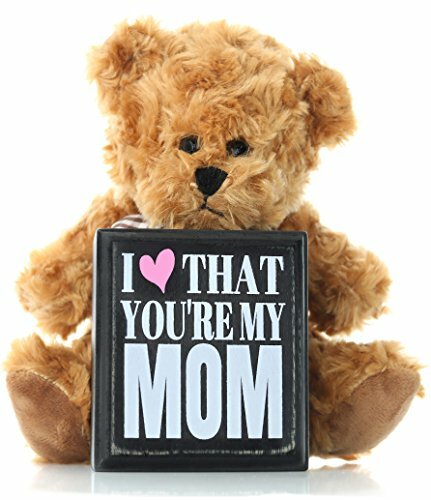 This sweet picture frame features a heartwarming Mother’s Day poem on one side that Mommy will treasure almost as much as she does the picture of the baby! 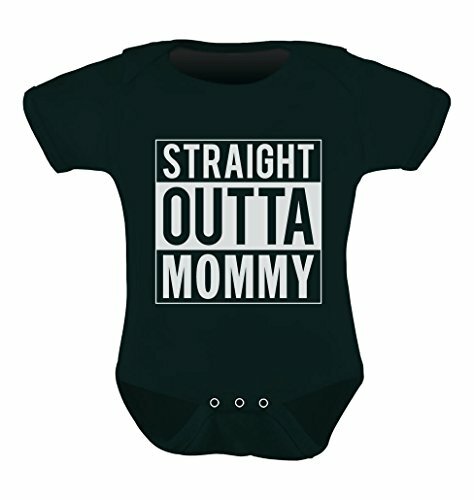 The first year of motherhood is definitely stressful! 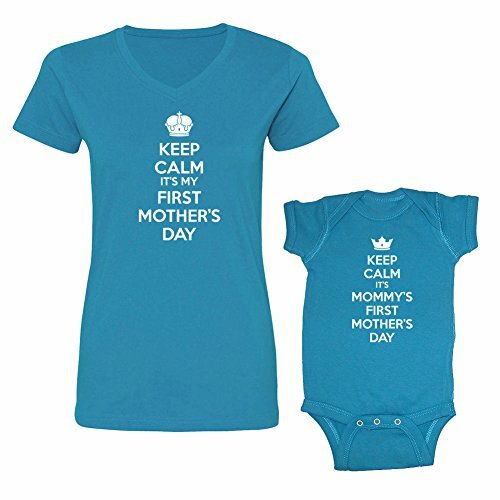 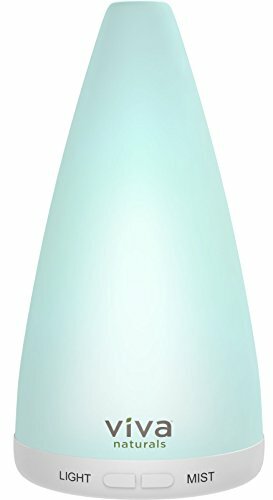 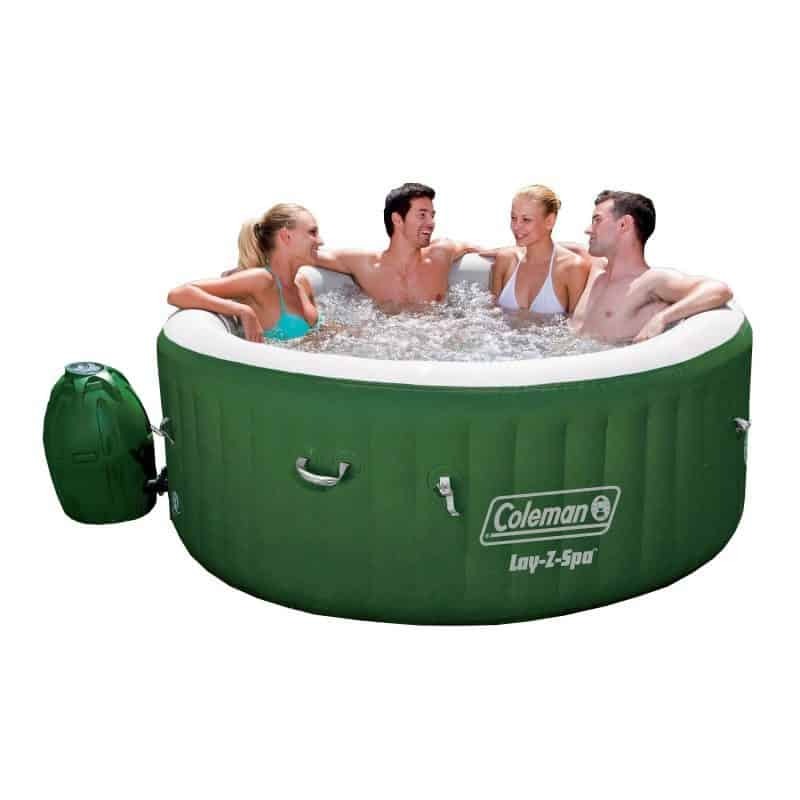 Pamper the new mommy this Mother’s Day with a gift of relaxation. 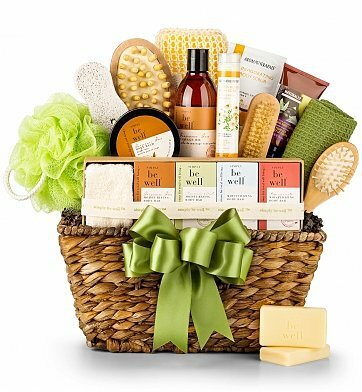 Consider giving a spa gift certificate, a mani-pedi, or a gift that can help her relax at home. 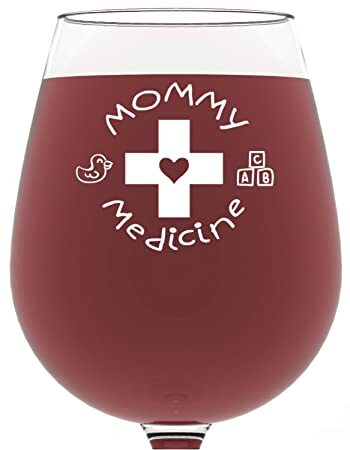 These colorful organic bath bombs are a wonderful addition to a relaxing bath (assuming someone else is watching the baby!). 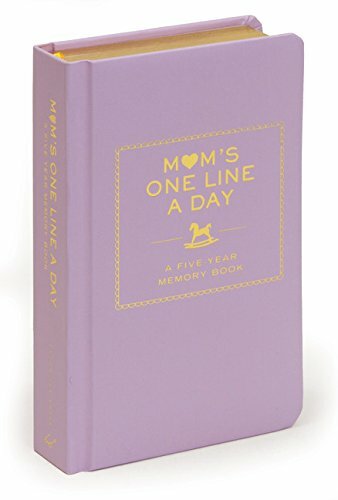 Mother’s Day should always be a happy day, full of fun and laughter. 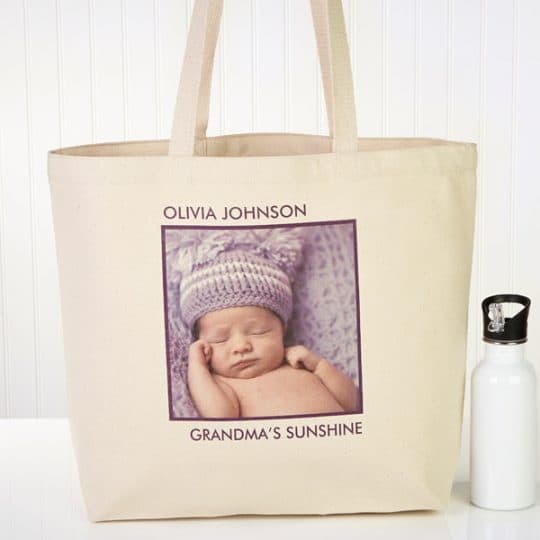 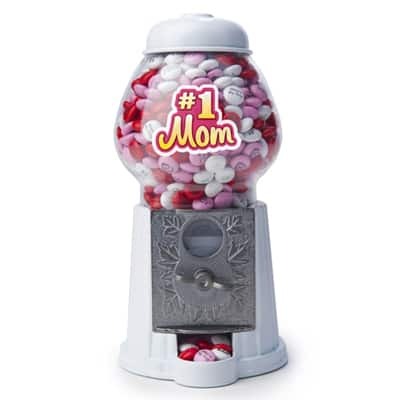 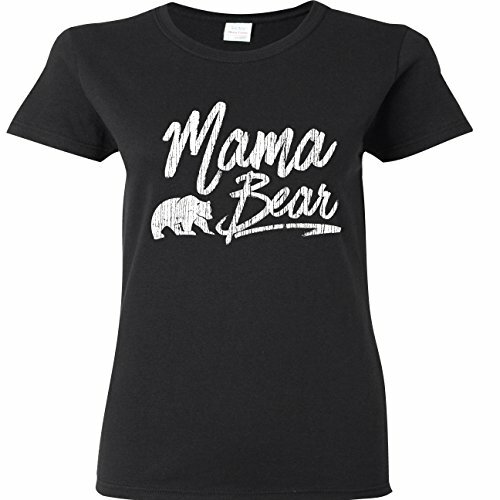 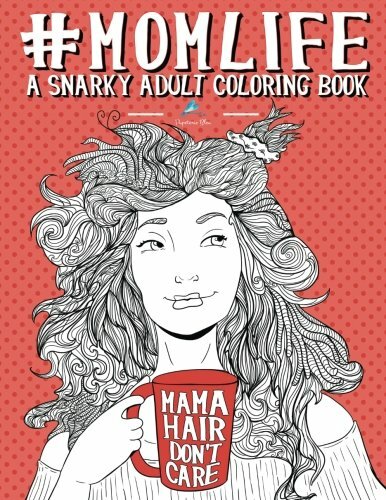 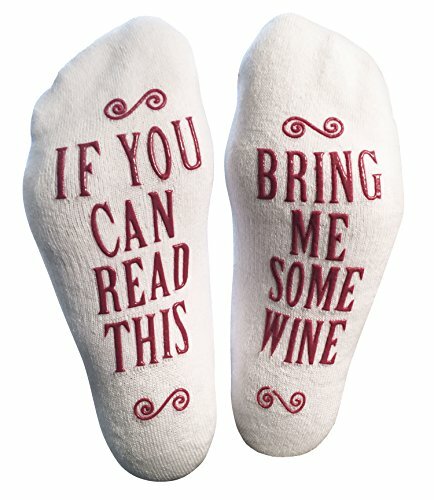 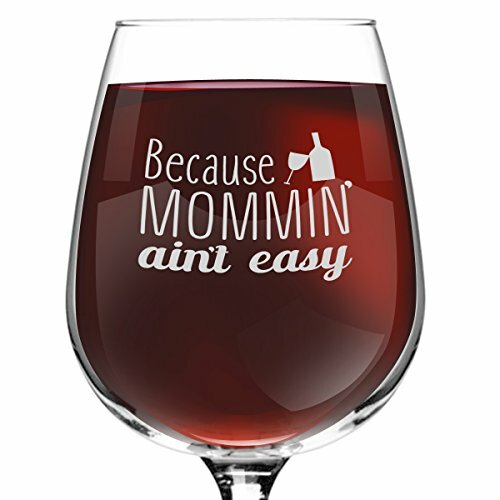 Make the new mom laugh with a funny Mother’s Day gift that she can enjoy year-round. 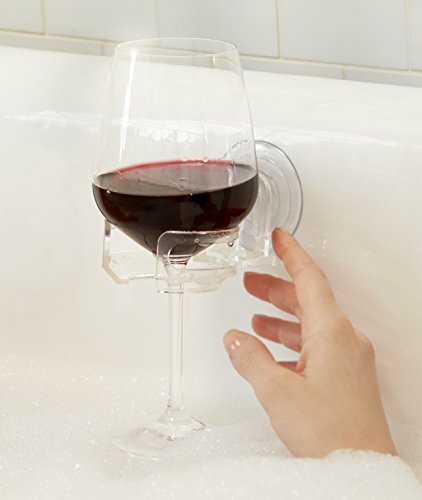 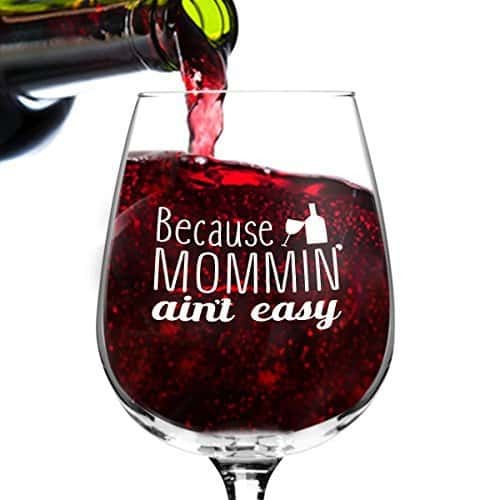 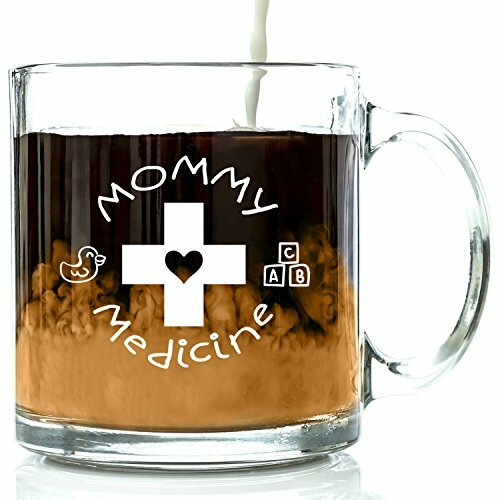 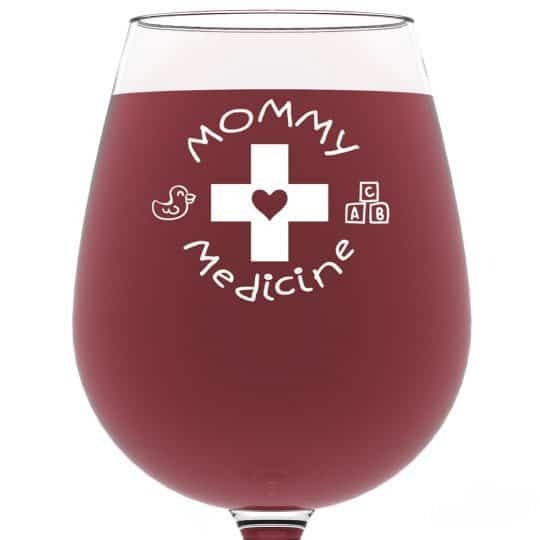 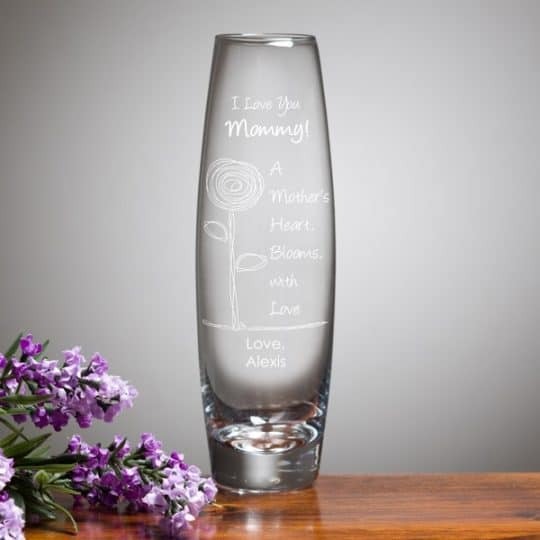 Cute “Mommy Medicine” wine glass is just what the doctor ordered for those long days of work and motherhood! 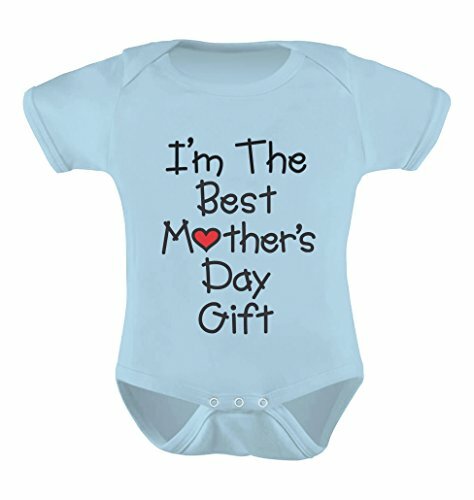 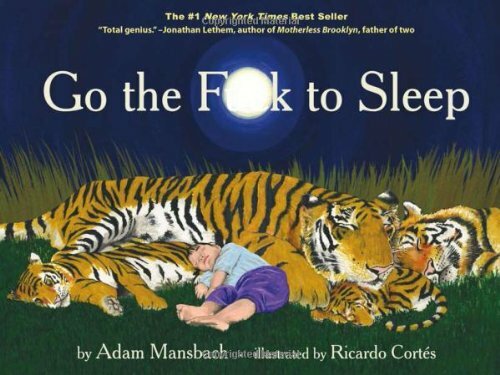 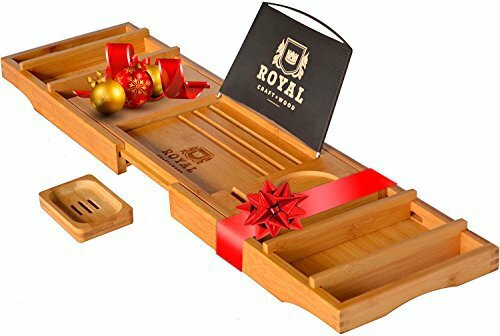 The baby will most likely need a little help picking out their Mother’s Day gifts for the first year. 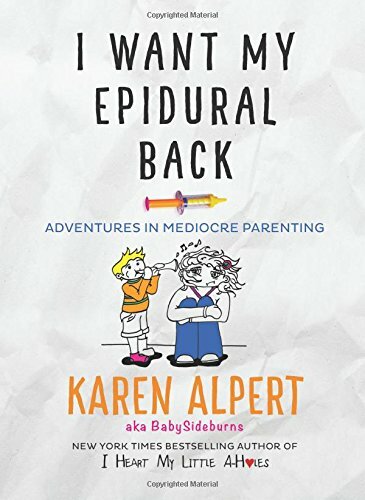 A helpful adult (Dad, Grandma?) 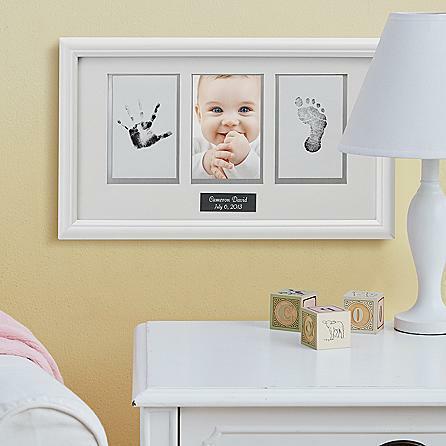 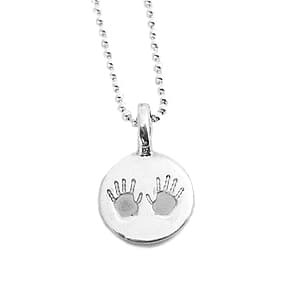 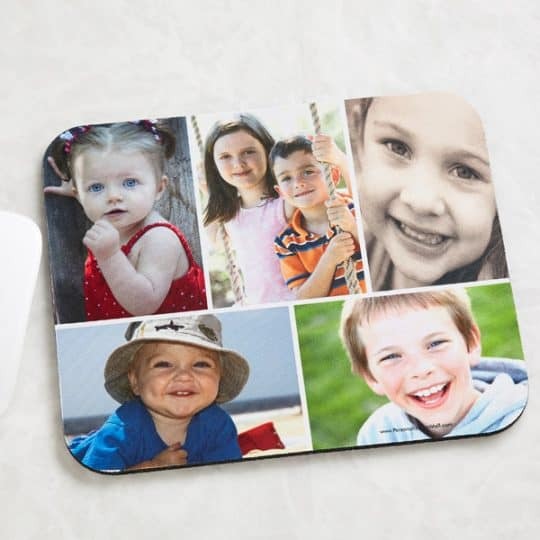 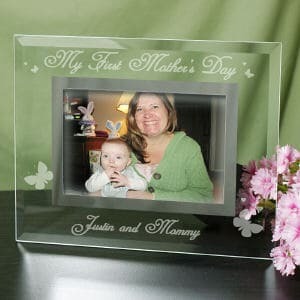 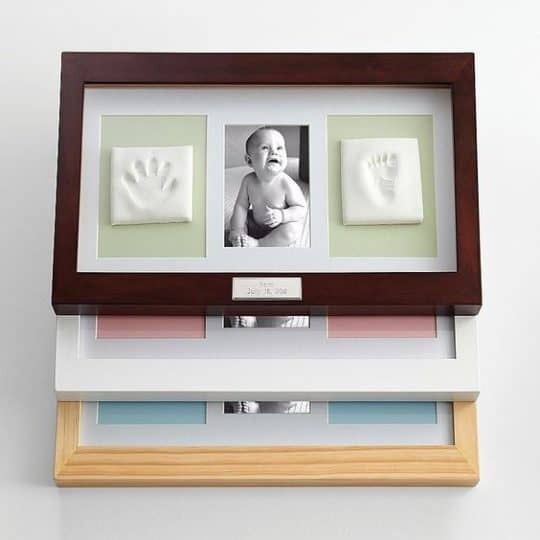 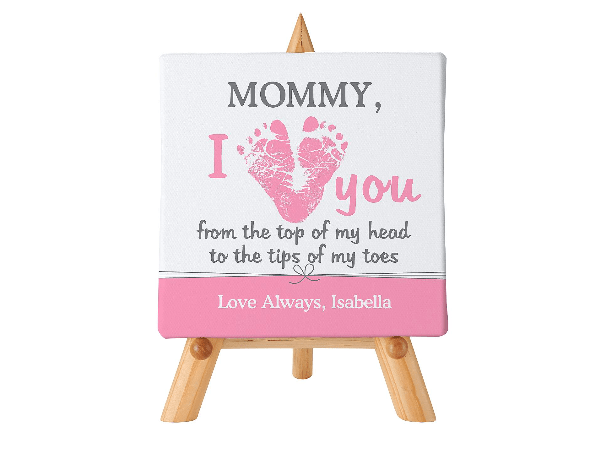 can pitch in and choose one of these delightful Mother’s Day gifts from the baby, such as this adorable hand and footprint photo frame. 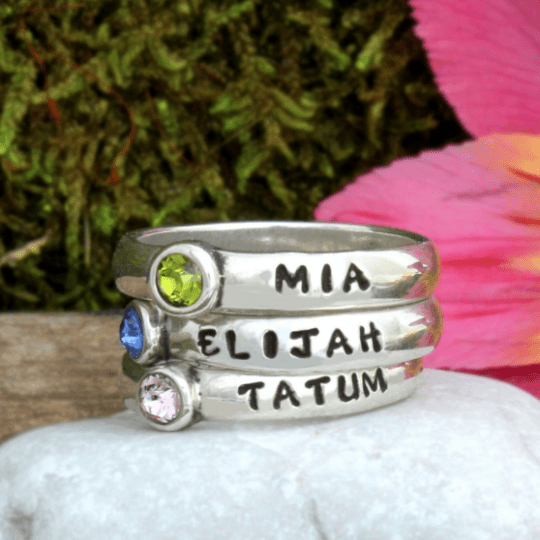 The stylish new mom will love wearing a bracelet that’s specially chosen for her first Mother’s Day! 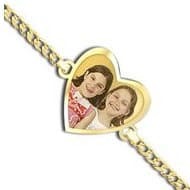 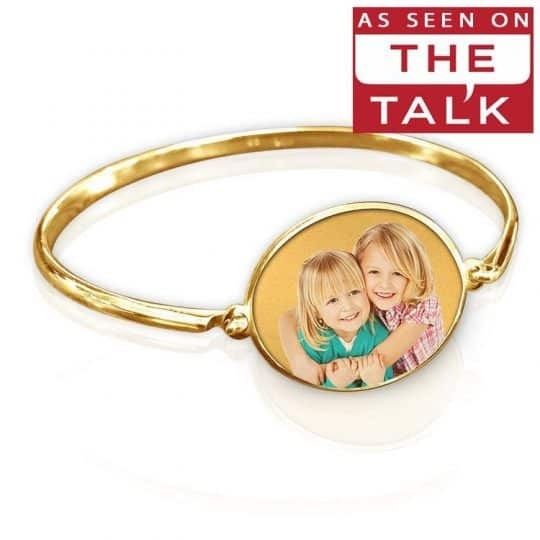 Bangle bracelets are all the rage these days, as they can mix and match with other bracelets. 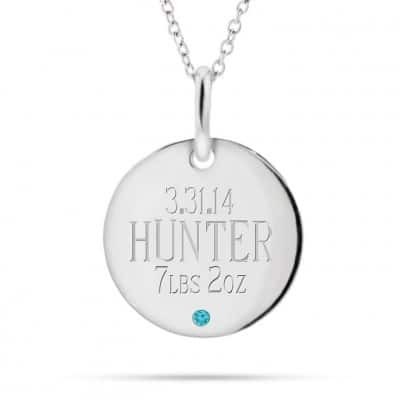 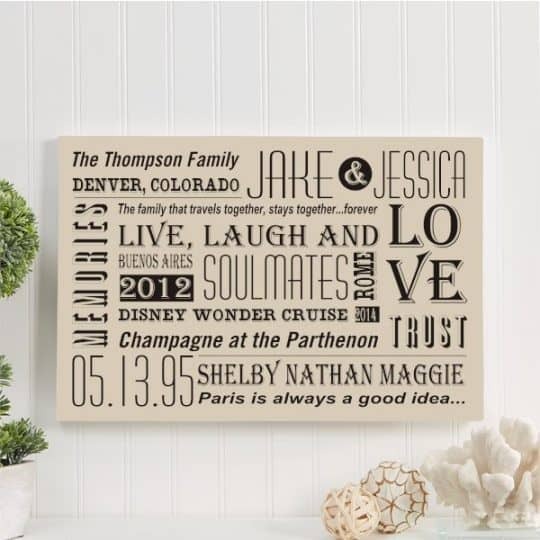 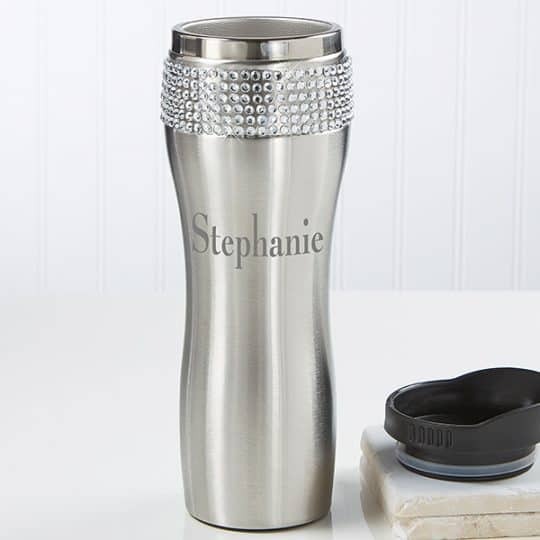 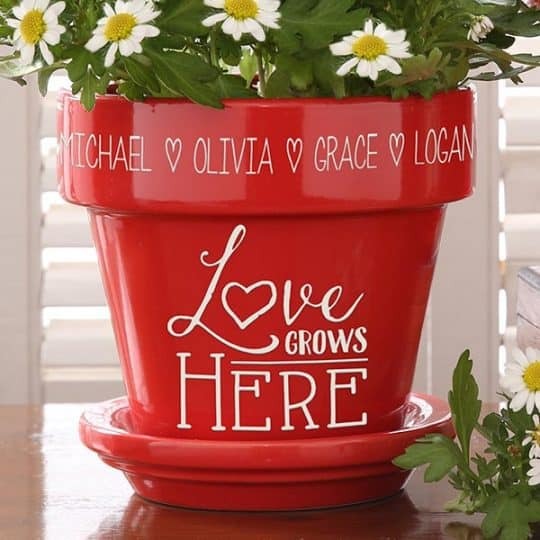 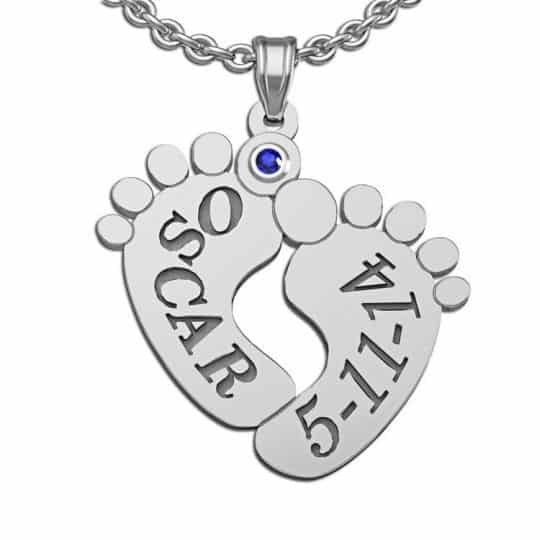 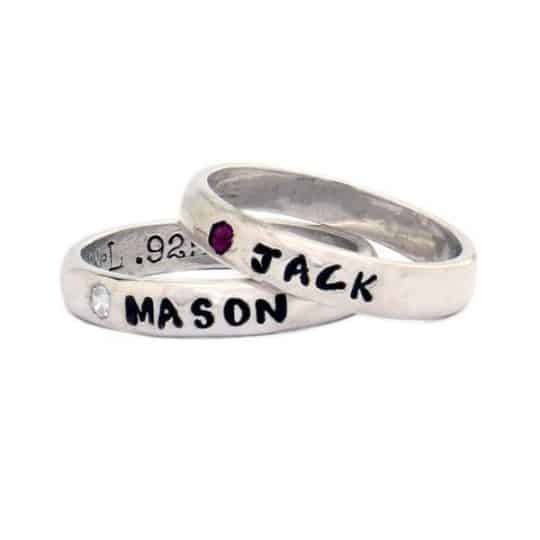 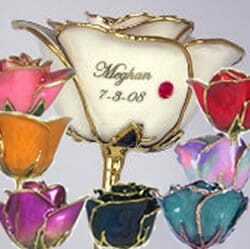 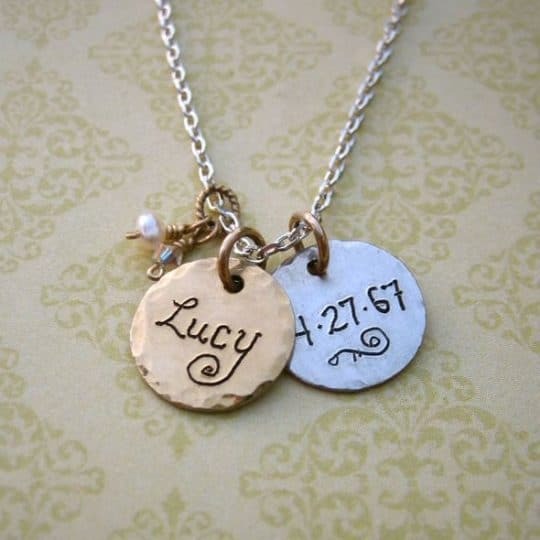 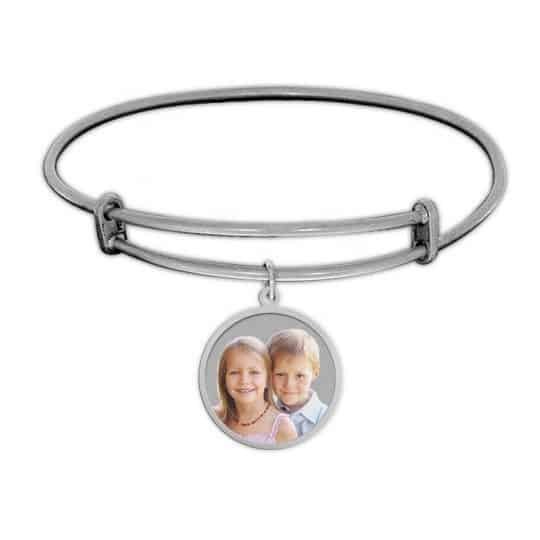 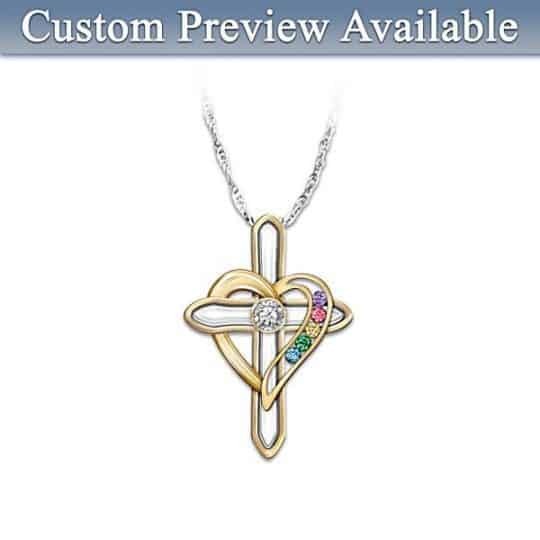 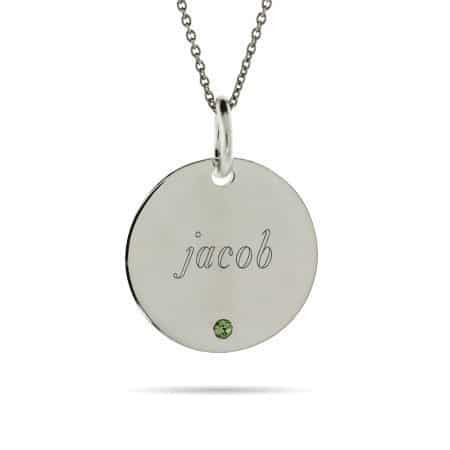 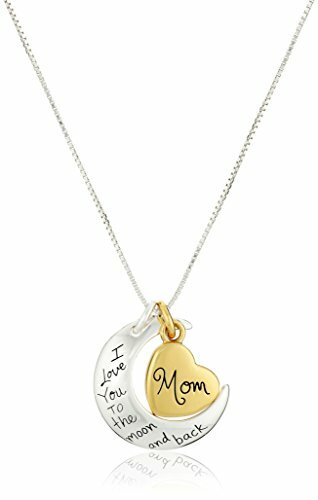 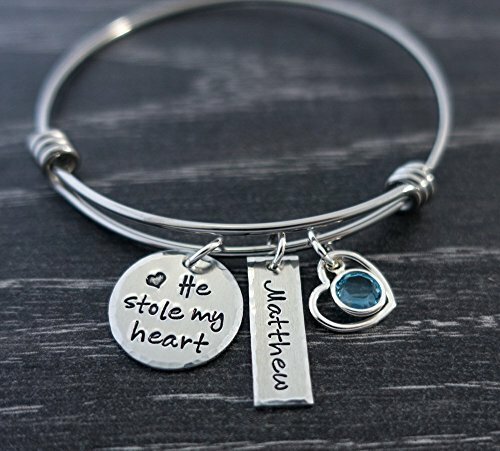 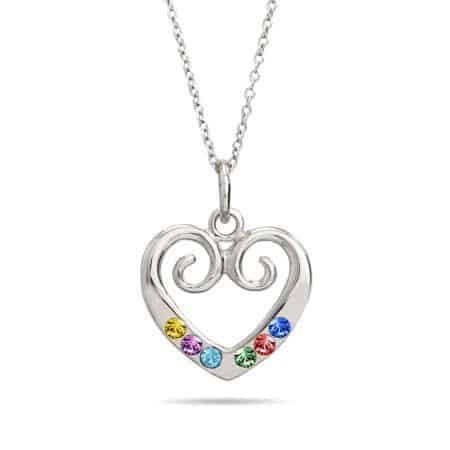 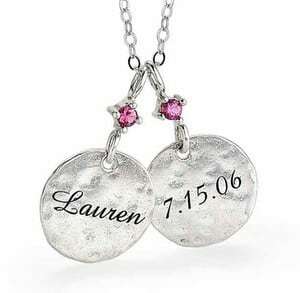 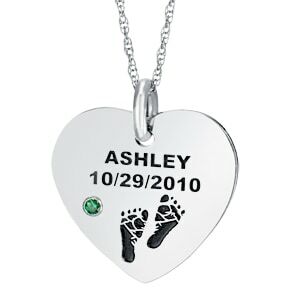 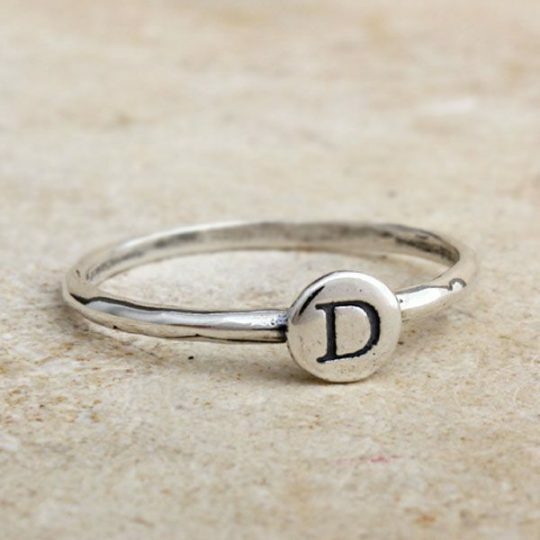 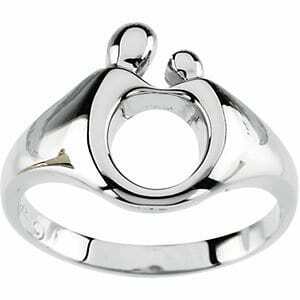 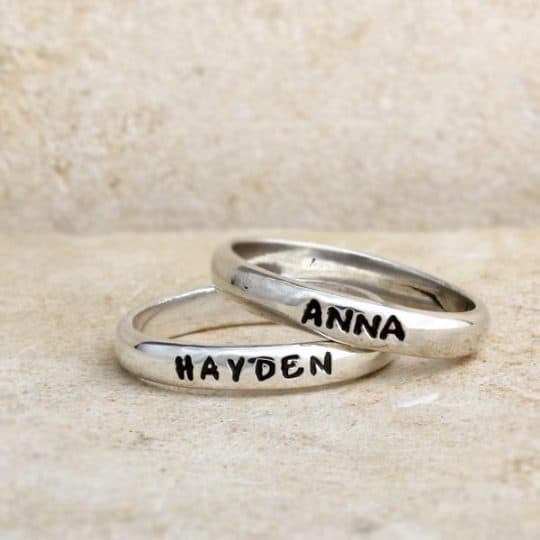 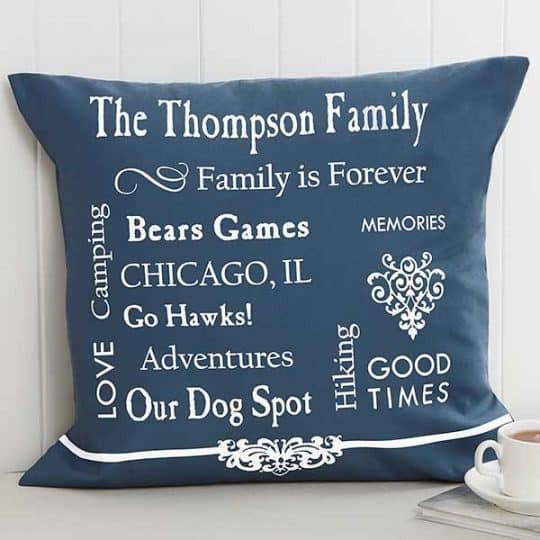 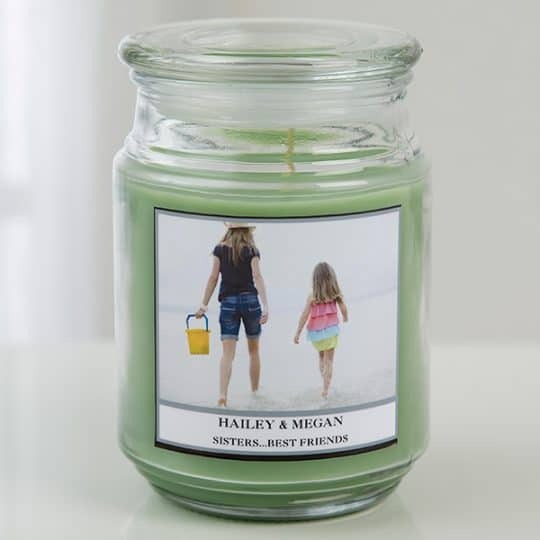 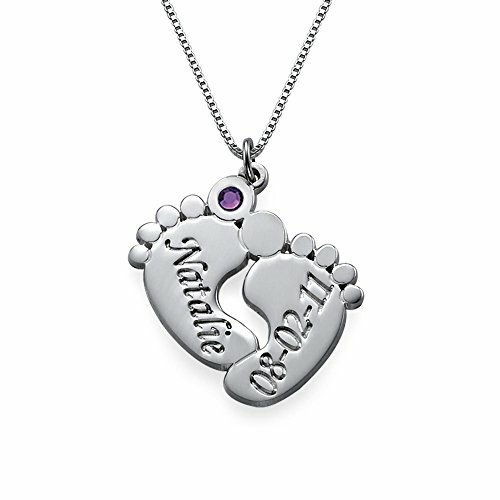 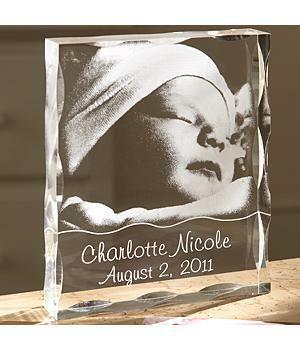 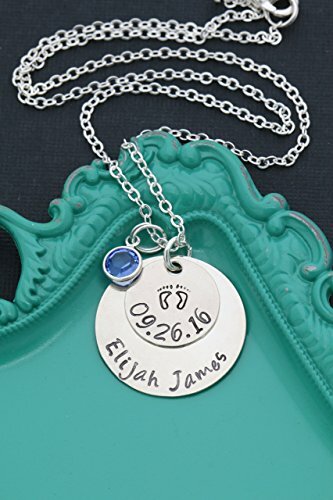 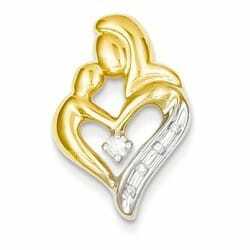 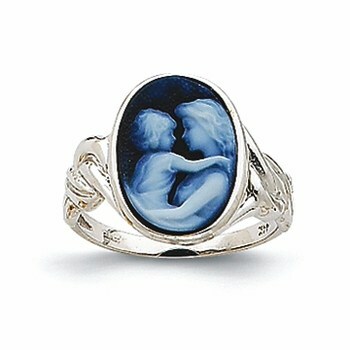 Look for one that features the baby’s name and birthstone – they’re quite affordable, unique, and sure to have special meaning!